For those who haven’t put authorship into use yet, Google’s Webmaster Central blog has a great post detailing frequently asked questions regarding authorship and its implementation. Authorship serves as a kind of byline in the Google search results. It includes the avatar for the user, which helps make it easy for searchers to easily identify authors they recognize. There has been search data that shows search results with authorship do tend to get clicked more frequently, as people do tend to gravitate to search results written by people they know and trust. When it comes implementing authorship, Google wants users to make sure they know which types of pages should use authorship. Authorship shouldn’t be used on pages that list articles, or that are a feed for articles. Instead, authorship should appear for URLs where there is a single article or piece of content by the same author. You should be sure to include a byline on those pages, and make sure it’s the same name is used in their Google+ profile. Google also noted that authorship shouldn’t be used on things like product description pages or property listings, even if the description has been rewritten, because it’s really not conveying the types of information that Google wants to present with authorship. Generally, people are expecting to click on a link that has an authorship markup to read an article or some sort of content from the perspective of that user, not a product listing for the latest tool or a property listing for real estate agent. If a page has multiple authors, it’s not really suitable for authorship. However, you can choose to only tag one of the authors. On the positive side, Google is looking at a way to implement a solution for when there is more than one author for a particular page. Google wants to steer people away from using things like a persona or company representative/mascot of multiple authors. Not only does an actual person give credibility to the content, it also actually serves users better when they can identify with a real person as opposed to a fake one. Google noted that rel=publisher and rel=author are to completely independent linking usages. 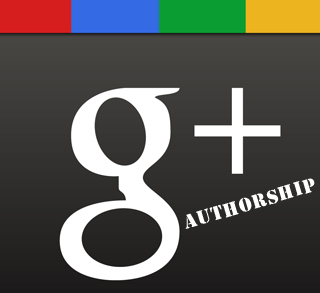 Rel=publisher is an easier way of showing a type of business authorship, because it links a business Google+ page with the business website. If you have content into different languages but written by the same author, they still should link to the same Google+ profile. There’s no reason to create multiple Google+ pages for the same author targeting different languages. If for any reason you don’t want authorship, you can go and make your Google+ profile private so it isn’t discoverable by search results. Or you can remove the markup or profile links from the articles themselves.